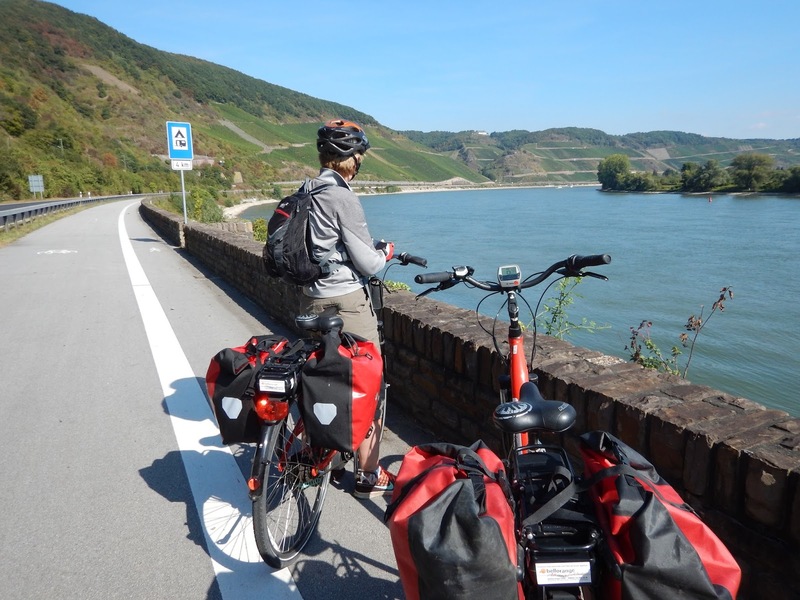 For a number of reasons we decided recently to hire e-bikes to follow the Rhine, Moselle, Marne-Rhine Canal, Rhine loop we have christened the "Riesling Route". There were three of us all on sturdy touring e-bikes hired from Bellorange in Edenkoben, Rheinland-Pfalz, Germany. One of our number had never seen the Rhine Gorge or visited Trier, Nancy or Strasbourg. 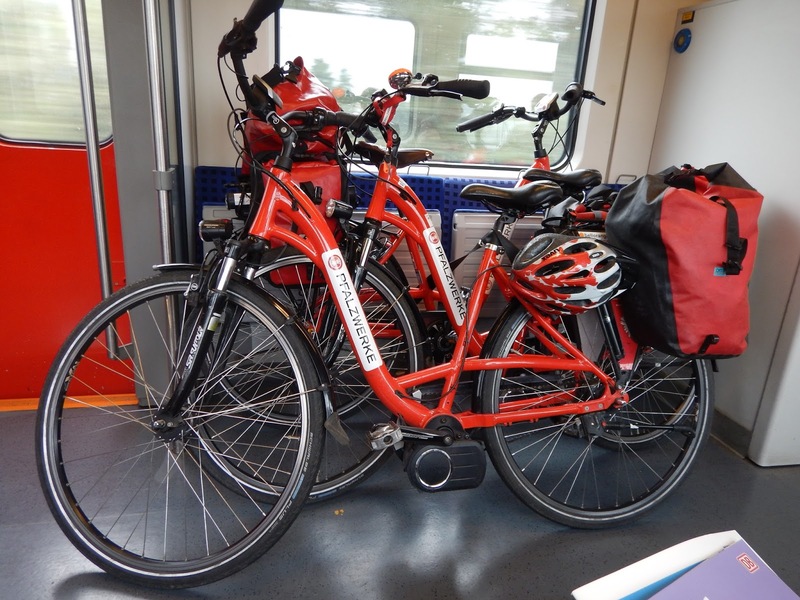 Our time was limited so we took a train from Mannheim to Mainz. We booked all accommodation in advance, becausr the Moselle Valley is a popular tourist destination in early autumn, due to the wine festivals and the grape picking. In addition it is more difficult to find rooms for three people than one room for a couple. We felt it was better to take a steamer through part of the Rhine Gorge. Sightseeing is easier. We also took some time off in Trier. Germany's oldest city needs more than a quick half hour's rubbernecking. To make up the time taken we took a train to Perl to enable us to get to Thionville before dark, where we'd booked a room. The Moselle Cycle Path is excellent and well signposted between Schengen and Arnaville. 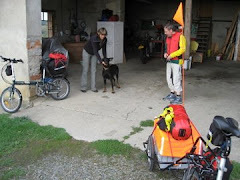 After Arnaville a rough canal towpath can be followed as far as Plagny sur Moselle where we took the train to Nancy. The recommended cycle route to the city follows the main road and is not pleasant to cycle. Taking the train meant we also had time to look at Nancy. 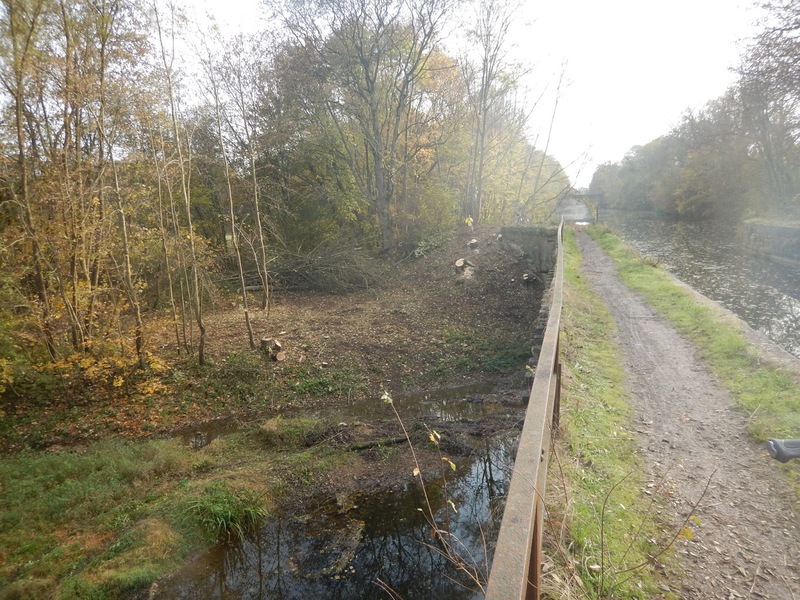 We cycled along the towpath of the Marne-Rhine Canal without difficulty, much of the towpath has been sealed and tarred. On the next day we climbed over the Vosges on quiet local roads and dropped down the Vallée des Éclusiers - the lockkeepers' valley - past 17 locks and lock keeper's houses. The lower part of the route involves cycling on a viaduct laid in the dewatered canal. Good fun! We reached Strasbourg in the early evening. It was a long day about 80km, but easy because of the electrical assistance and a smooth towpath. 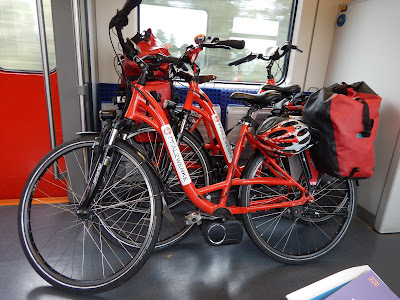 The next morning we spent in Strasbourg looking the cathedral and the old city, before following the Euro15 cycle route to Lauterbourg, where we caught a train, free for us as owners of a regional pensioners' season ticket, to Ludwigshafen. The city was chosen as destination as we knew that the lift on Mannheim HBf on our arrival platform was not functioning. 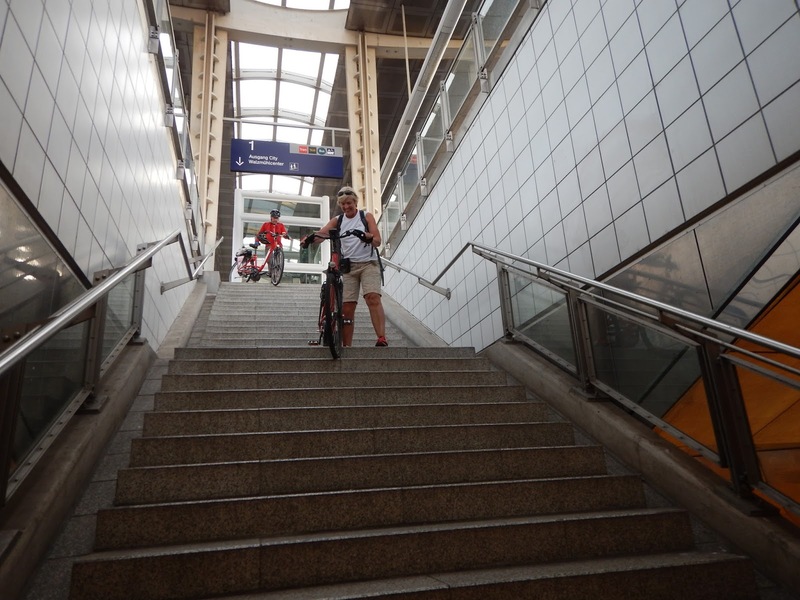 The plan was to take the lift at Ludwigshafen Mitte station down to ground level, cross the Rhine and cycle home. The best laid plans do 'gang awae', unfortunately. 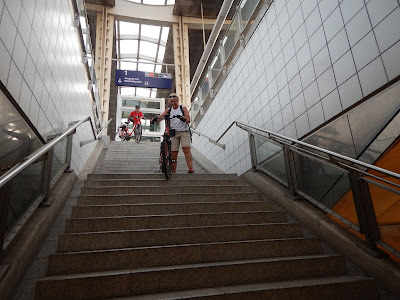 We found that the lift on our platform was defect and we had to carry the bikes downstairs. The disadvantage of these e-bikes is their weight. We found the bikes were heavy to lug on and off a ship, but we have become experts at looking helpless and were helped by the crew. All of the trains we took were low level loading, roll on, roll off, so the weight was not really a problem at least as far as the platform. At the majority of stations lifts were available if required. On the plus side we were not as tired in the evenings as if we'd pedalled a tourer all day. If we met a headwind at the end of the day we turned up the assistance a notch or two. Whether we were much faster is difficult to assess. We were exploring the route for the first time in ten or so years and we spent much time, of necessity, scratching our heads looking at maps. We found on rough towpaths the e-bikes are about as fast as our normal tourers, but I for one was wary of putting the pedal to the metal or turning up the power when a minor mistake could have landed me in the drink. Would we hire e-bikes again? Yes, in the mountains! Would we buy a pair of e-bikes? Probably not! We live on the Rhine Plain and there are few local hills unless we go looking for them.